Imagine returning from a business trip and dropping your bag at the front desk for it to be delivered straight to your home. Then, you head to the Terrace Lounge where your favorite bartender is already pouring your signature drink and many friends and neighbors are chatting about their recent adventures. It must be Thursday evening at Museum Tower. Each week, as the business day comes to a close, residents and their friends gather for what has become a “neighborhood” tradition—an incredible happy hour with special cocktails, delicious food and lively music all overlooking beautiful green space at Museum Tower’s Terrace Lounge. "It’s become a standing appointment for many of our residents,” says Tanya Mendenhall, Director of Resident Relations, who recently staged a “Uno de Mayo” happy hour complete with hand-crafted margaritas, a tequila tasting, a Latin guitarist and tantalizing appetizers created by Mesero Miguel. “It’s such a fun way to wind down the week and catch up with neighbors. We usually have over 30 residents and guests come by. It’s like a fun block party, every week." 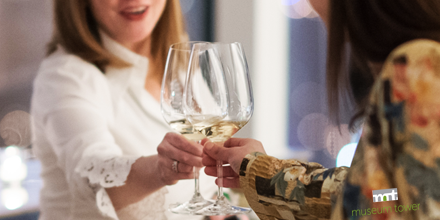 Events like the recent Dom Pérignon tasting and an upcoming dinner by super chef Kent Rathbun are just a few of the gatherings that elevate luxury living to the extraordinary at Museum Tower. In this premier residence located in the heart of Dallas’ vibrant city center, a home extends beyond four walls to include beautifully designed gathering spaces where neighbors meet for a pre-theatre cocktail or a glamorous charity auction. This article was originally published on TheUpdateBlog.com. Envision your #LifeAtMuseumTower and see what unfolds at tonight's very special residents-only vent by following @MuseumTwrDallas on Instagram.